Barbara Brickell Designs has been decorating homes in South Florida for over 25 years. Lead designer, Barbara Brickell, has built her business by creating spaces to reflect on her client's personalities and lifestyles. At the heart of her business, is creating a relationship with each client to bring to life their vision for their space. Barbara values connecting with each client and has built most of her business through referrals. We specialize in residential design services and project management for distinctive residential properties and luxury condominiums. Pepe Calderin Design an modern interior design firm that has offices in Miami, Naples and New York dedicated to designing high-end residential and commercial spaces strongly saturated with energy and warmth. With over 20 years of experience, the firm has earned national and international design accolades for a variety of spaces, styles, and a portfolio that spans over four continents. Pepe Calderin Design has garnered recognition for its fresh, energetic, visionary approach to the modern design process, where the philosophy is "A space has no boundaries, and has limitless possibilities." Creating an open, dynamic environment where one can thrive and grow serves as the core initiative. 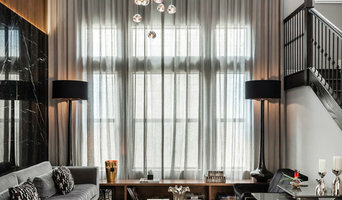 Through the fostering of an intimate connection with the client, each project becomes a distinctive reflection of their unique personality, lifestyle, and spirit. On occasion, interior designers in Miami, FL will need to subcontract help from other Miami, FL professionals to help create the perfect look for your home renovation. These may be specialist installers or interior decorators like kitchen designers, architects or landscape contractors. Start by asking yourself what you want your space to become and how it will be used. List your must-haves and decide on your budget. Interior design services can add up fast, so be upfront with potential interior designers from the beginning. Also, pick a designer in Miami, FL that fits your style. Browse through their interior design portfolio on Houzz and ask yourself if you’d live in any of those houses. If the rooms inspire you, take note of what elements you appreciate. 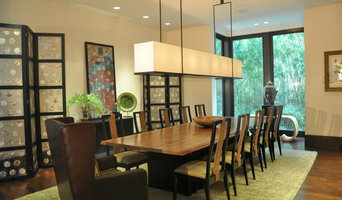 Find residential Miami, FL interior designers on Houzz. Scroll through this page to find interior designers in your area. Then, browse their design portfolios to see how their work compares to the scope of your project. You can read reviews to see how other homeowners rate their work, and message them directly to to ask any specific questions.